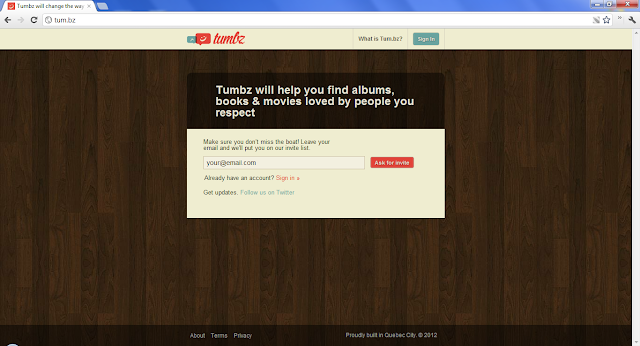 Tumbz will help you find albums, books & movies loved by people you respect. The name is "Tumbz". You might want to correct this – title, tag and all. Thank you! I updated across the board.